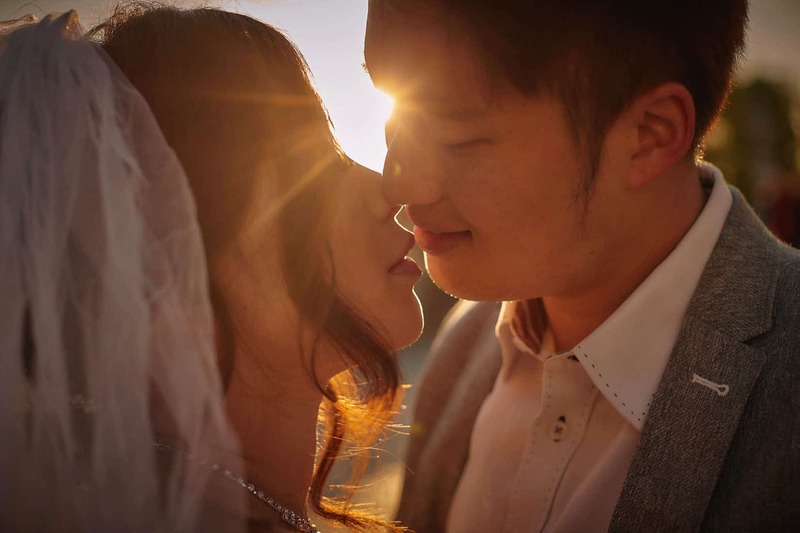 Kennis & Ripple are two really sweet people who will be marrying in Hong Kong in a few months. 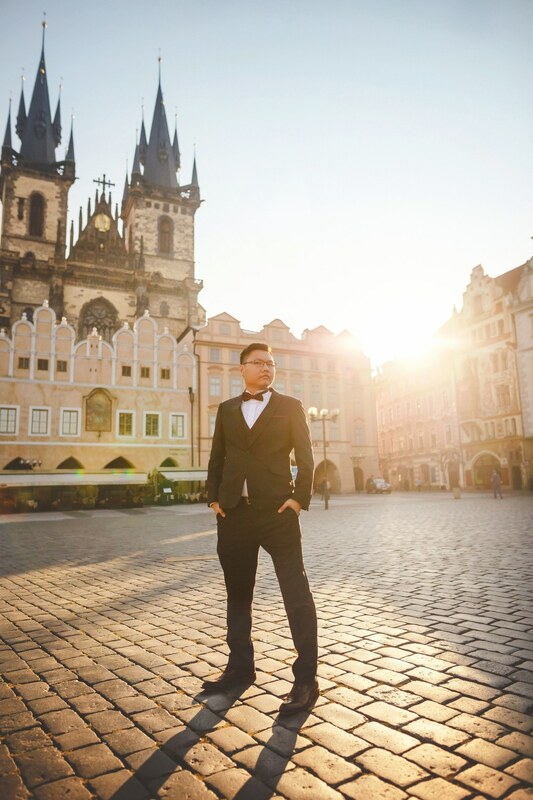 But before they exchange their ‘I do’s’ they decided to travel to Prague for their sunrise & sunset pre-wedding portrait session with yours truly. 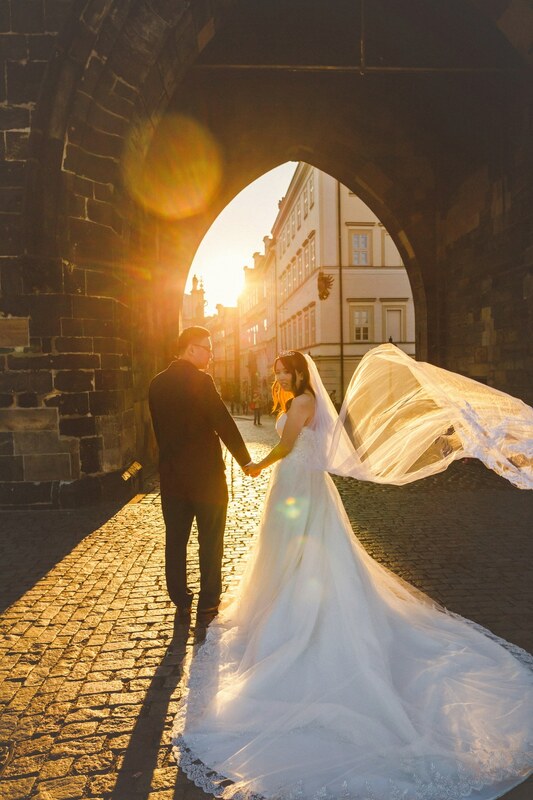 They decided on a sunrise start on top of the Charles Bridge. Truth be told the Charles Bridge at sunrise feels more like Disneyland than the once peaceful oasis of calm it used to provide. On this particular morning before the sun came up it was already quite busy so we decided to back away from the crowds and take it all in from a different location. Thankfully the bridge is large enough to accommodate everyone. Not only did we capture them during the pre-dawn we also backed up to give them time to stop, look around and take it all in. It is not often that you get a chance to view such a beautiful sunrise from Prague’s Charles Bridge. Mother nature did her part by providing them with blueish purple sky that flared a deep Orange and it was truly unforgettable. As we work with a full lighting crew capturing these beautiful colors at night is not a problem. Kennis & Ripple clearly enjoyed the experience and were quite happy to exchange a warm hello to the other couples who were also being photographed as we made our way to the Old Town Square. 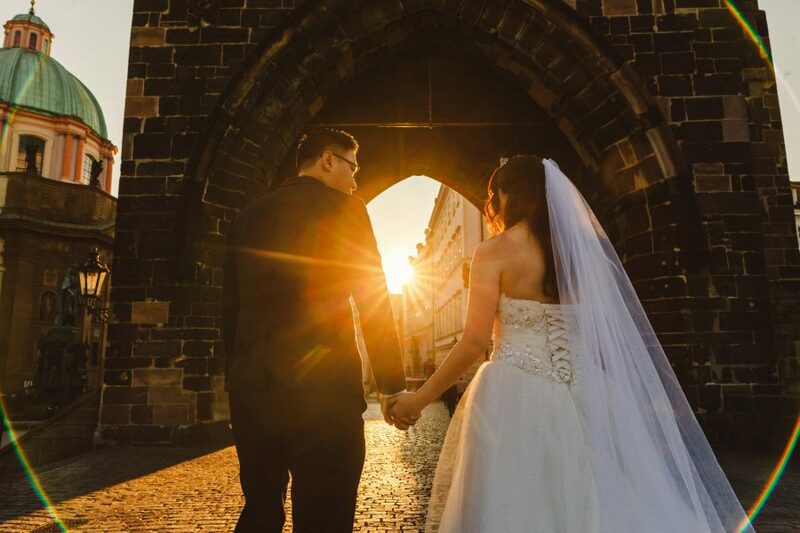 Sadly the Astronomical clock was covered in scaffolding so we simply took in the square’s architecture and especially the sunlight breaking over it which created a wonderful atmosphere for these two. My only regret was not having a long veil for Kennis to use to create some very stylish images of the bride-to-be. But truth be told, this is a couples portrait session and ultimately that is what they want: couples portraits. 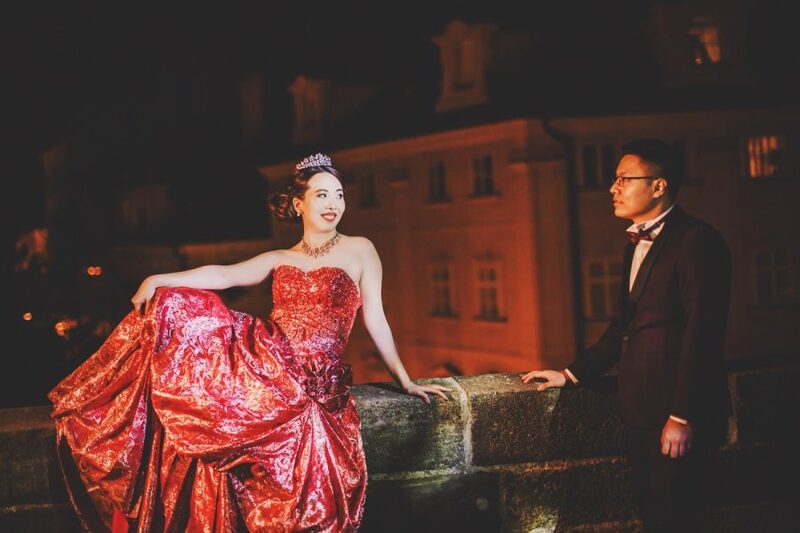 After taking a walk around and seeing more sights we headed back to the already very busy Charles Bridge to capture more unique portraits at some of my favorite locations. 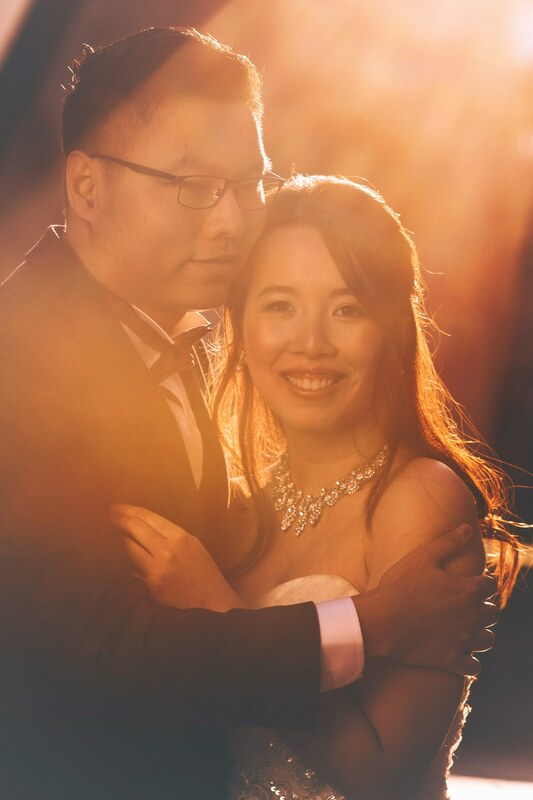 One thing I enjoyed (and they absolutely loved it as well) were the many sun flare shots we were able to create during the Golden Light hour here. To complete our morning session we headed to the riverside. Some of their favorite images are of them simply sitting and taking it all in. As this was a Sunrise and Sunset session we had a much needed break in the afternoon, and with a new hair & makeup look and a stunning red dress it was time to head out and capture more unique locations. For a late afternoon start there is no better location than the peaceful oasis of the Vrtba Garden. 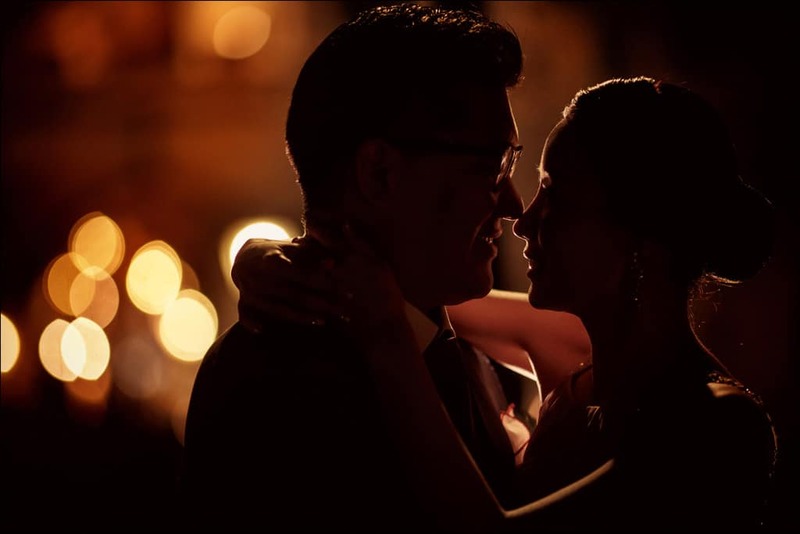 We were not the only photographers there during that time but nevertheless we were able to create some beautiful & stylish lit portraits overlooking the city below. Prague Castle was our next stop before heading down to the Charles Bridge after the sunset. Though we did not have an amazing sunset we did have one of those incredible mornings where the golden light bathed us in its warmth and created some unique images. One of the nicest things I will remember from this session is when Ripple (or as I like to call him Mr. Ripple) finally let go and just laughed and laughed and laughed. His smile and laughter are really infectious and Kennis being the sweetheart that she is lights up when he does as well. 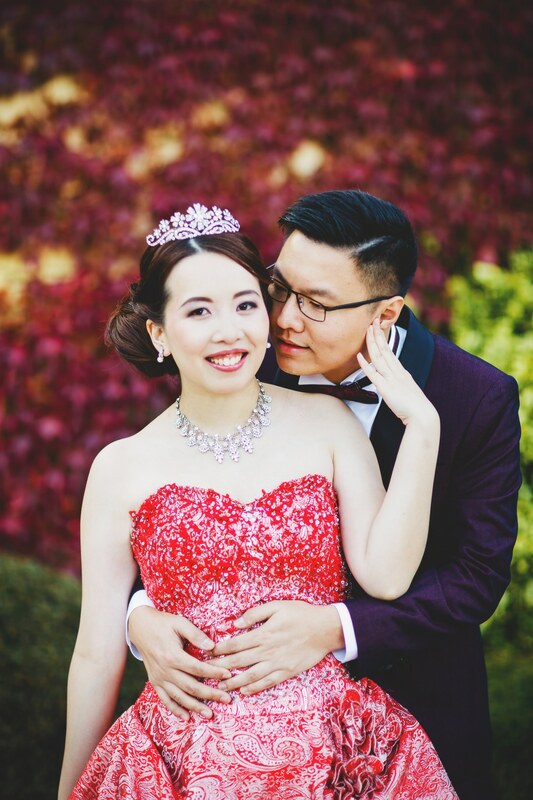 As a photographer I am very happy I met these two and were able to create something quite unique for them and about them as they really are a sweet couple. 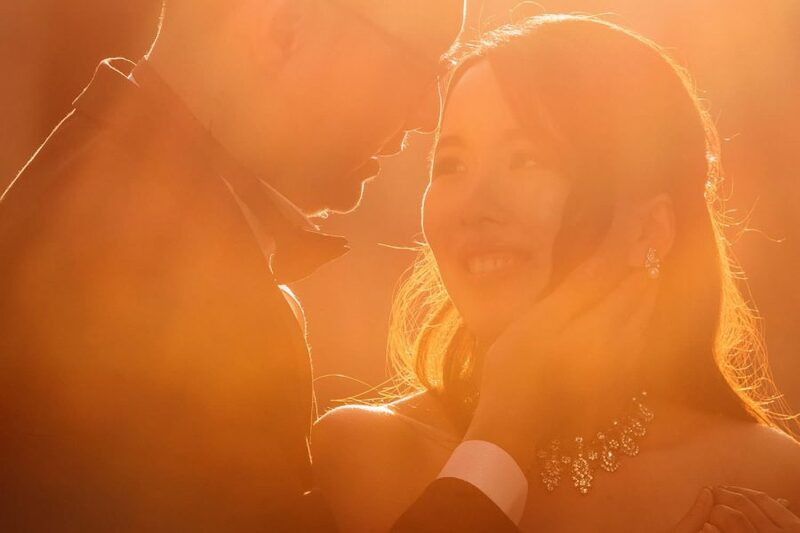 The following collection of images are some of their chosen ones that they will be showing proudly to their family & friends during their upcoming wedding in Hong Kong. To Kennis & Ripple, I wish you both much luck, happiness and success in your new lives together as husband and wife. Previous PostA natural light pre wedding portrait session in Prague with T&J! 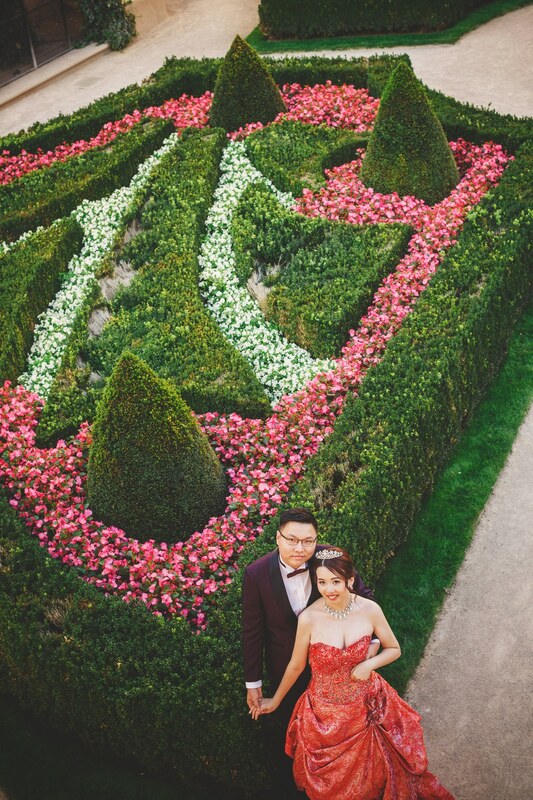 We’re looking to capture some memories with some casual engagement photos. What’s the shortest package you have on offer, how long does it last and how much will it cost? We hope to come away with a few small framed photos (for tables) and perhaps a small album. We are not planning to bring gown or tux. Are these available for rent? If not we can dress casual? 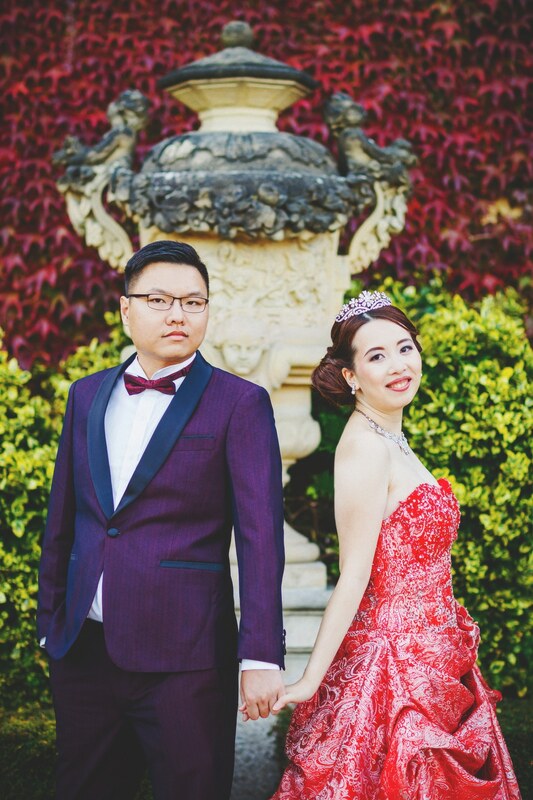 Hi , we are from Hong Kong!We are playing to have pre wedding photo shooting in Prague on 1st May , may I know your availabity and price list ? I am interested in the natural lighting art collection, or others package you can suggest to us ? Thank you! Let me introduce myself first. My name is Herwai from Taiwan. Me and my girlfriend are planning to get married this year. 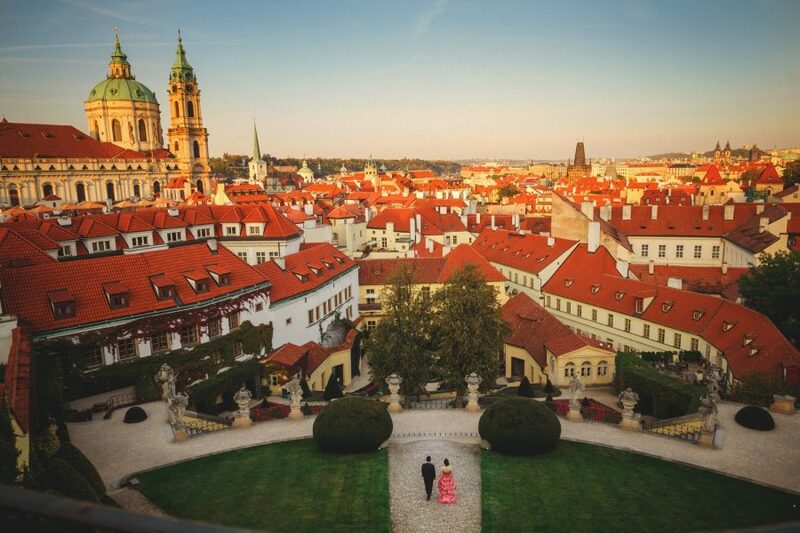 This may we’re going to visit Prague from may 4th – 8th and we’re planning to have pre-wedding photo in Prague. Wo both love your works. Do you have any other portfolio for reference? Could you give me the pricelist for the photo-shoot? We’re planning to have photo session on may 7th. Do you available at that time? Please give me detail about the price list. Hi Herwai, delighted to hear from you. Information has been sent. Warmest regards, M.
Hi Ronnie, delighted to hear from you. Information has been sent. Warmest regards, M.
Hi kl tah, delighted to hear from you. Information has been sent. Warmest regards, M.
Hi Amber, delighted to hear from you. Information has been sent. Warmest regards, M.